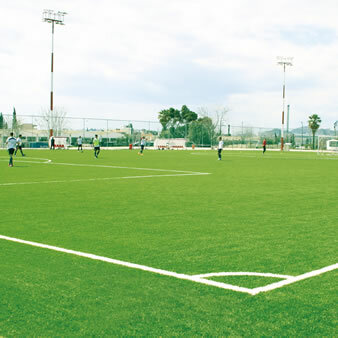 CCGrass, the largest manufacturer of artificial grass in the world, is dedicated to providing the best artificial turf for both athletic and landscape purposes. After more than 15 years of focused development, CCGrass products have served clients from multiple regions with varying needs, including professional football clubs, government bodies, schools, and countless households around the world. CCGrass has an ongoing commitment to quality. Based on more than 15 years of product development and manufacturing experience, our products meet the highest standards of leading sports organizations, such as FIFA, FIH, World Rugby, GAA and ITF. CCGrass chooses the very best raw materials with strong UV stability to make sure our artificial grass stays fresh & green over many years. 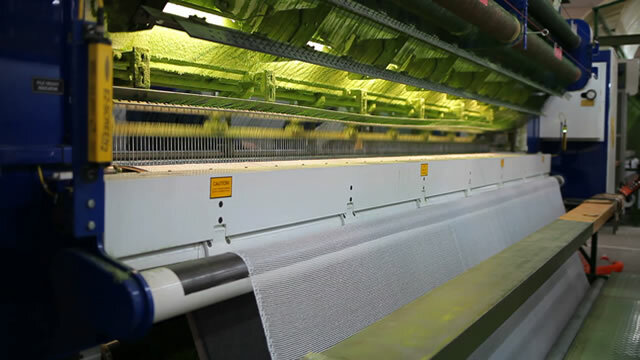 CCGrass’s artificial turf contains no lead, no heavy metals or any other harmful chemicals according to the highest safety standards, such as DIN, REACH, RoHS. CCGrass believes in offering the highest quality of customer service. All staff go through a rigorous and continuous training programme to understand best how to serve our many customers. We focus on ensuring our deliveries arrive punctually, in perfect condition and ready to install. Our professional consulting services ensure that you are provided with products best suited to your needs. The CCGrass experienced sales team is equipped with expert knowledge, on a wide range of synthetic turf products, to meet a variety of applications. Our in-house engineers provide technical advice on base systems, ensuring they meet the required standards. In order to ensure our clients a straight forward project, we offer free professional field design and installation advice. 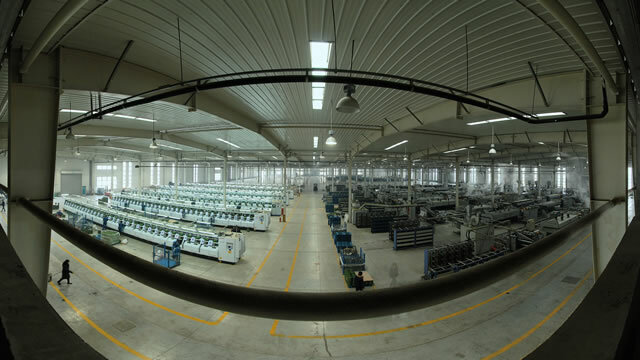 Each artificial grass sports field or landscape area is tailor-made in our factory. We strive for accurate designs to facilitate easy transportation, installation and waste minimization for all new and resurfacing artificial turf projects. 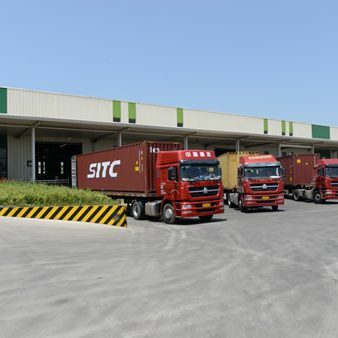 Our far-reaching logistics network ensures that our artificial grass products are delivered to our clients promptly and economically. 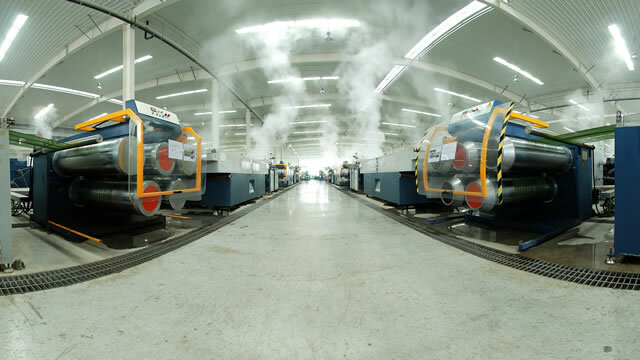 We keep close watch on shipping times and assist in updating customers with news on their orders. Our highly experienced marketing team provides high quality sales tools such as brochures, samples, technical specifications, as well as personal and individual marketing support. Through proactive social media engagement, the CCGrass brand is becoming more and more recognizable, assisting clients in winning more projects. 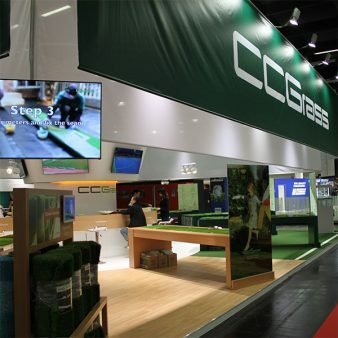 The CCGrass marketing team attends more than 15 exhibitions worldwide annually. CCGrass operates under the principles of respect, integrity, ambition, transparency, and service. Over the years, these values have played a vital role in the creation of our global network of business partners, clients, research institutes, and sports bodies.